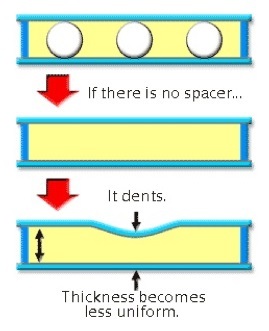 LCD spacers support the two glass panels in a liquid crystal display (LCD). 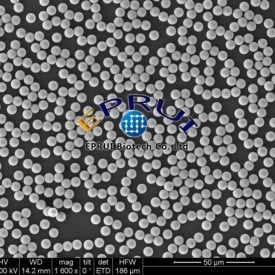 Uniform microspheres are the ideal material used in LCD screens to provide a precision spacing. It will make a flatter LCD screen. If there is no LCD spacer, the panels will dent and make the screen uneven. A precise control of LCD cell gap containing liquid crystal is critical to achieving the best display performance. 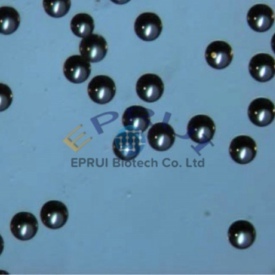 Spherical particles used to control the thickness of the liquid crystal layer must meet stringent requirements such as precise particle size, tight particle size distribution, suitable hardness, and excellent resistance against heat, cold and chemicals. We supplies a wide selection of LCD spacers made of different matrix including plastic spacers, silica spacer and black spacers. All types of EPRUI’s LCD spacers have the features below. EPRUI Saves You 50% Research Funds! 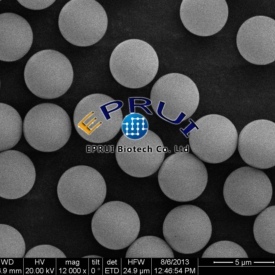 © 2010 - 2019 EPRUI Biotech Co.,Ltd.